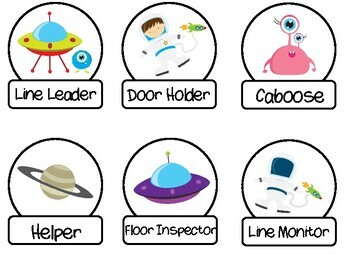 Classroom job labels in a Space theme. This product is a perfect way to manage student responsibilities. 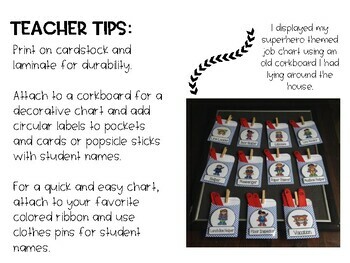 Add labels to a pocket, ribbon, place in a pocket chart or add magnetic tape and hang on a magnetic surface. I suggest printing on cardstock and laminating for durability. 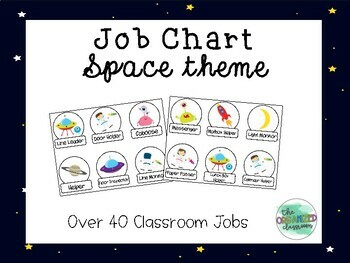 This set includes over 30 classroom jobs, such as line leader, door holder, calendar helper, and more! If you don't see a job you are looking for...email me and I will be happy to add it.